One of the most important features at McBride’s RV Storage is the 24 hour controlled access. Customer can enjoy having late access hours up to 24 hours a day, 352 days a year access to their vehicles. Customers find that having the late access enables them to come after business hours to pick up or drop offer RV’s. Also the late access gives customers additional time for trip preparations like using the wash bay, dump stations, vacuum station or getting some ice. In addition, this allows customers additional time for loading and unloading, groceries, clothes, gear and equipment necessary, keeping you on schedule. Customers really feel the benefits when they don’t feel rushed. When you have the additional access time you don’t have to take additional time off work for picking up your vehicle or dropping it back off as other RV storages facilities may force this issue because of the limited access time available. McBride’s customers feel more relaxed and less rushed during their scheduled vacations and adventure trips because they are not pressed from time to return by some restricted access time. 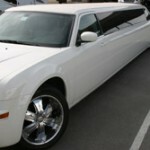 Limousine businesses make good use of the 24 hour access. Coded proximity card access allows staff to monitor and record each entry and exit. Likewise, the system is synchronized with video surveillance recording each vehicle entering and exiting. This assures secure access for only McBride’s RV storage customers. 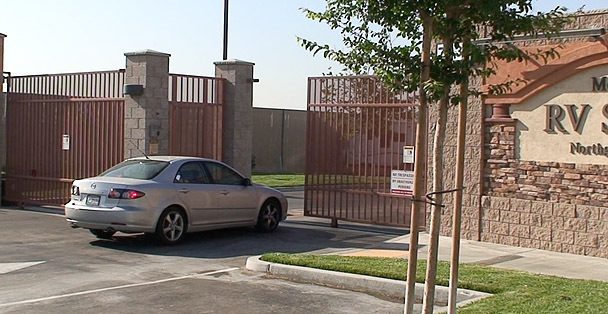 For commercial accounts with multiple vehicles and drivers, the controlled access allows those businesses to set the access hours they want. In addition, it allows the businesses to suspend or limit an individual’s access privileges as needed. You save me money! Before we moved over with you, I had to leave work early to make it before they closed the gates. ?Now, I’m not losing extra days of work because of not having the 24 hour access. It sure made my life easier and more affordable.? Thanks!??? Frank, Ontario CA.